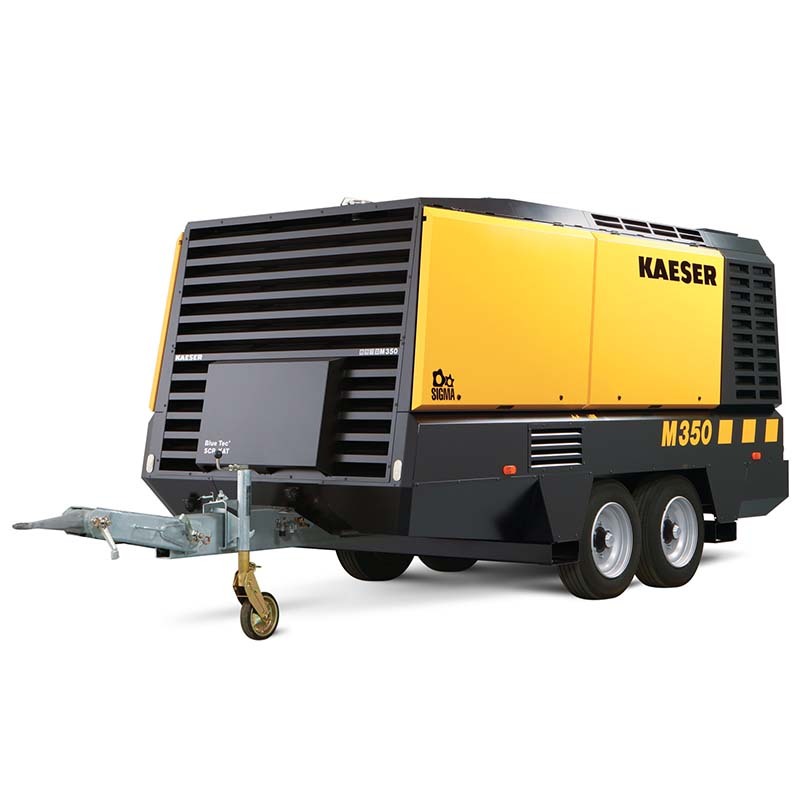 Kaeser’s Mobilair line of portable compressors are designed and built for rugged use and dependable performance. These portable compressors provide a reliable source of compressed air for construction sites and other industry applications such as demolition, sand blasting, sprinkler irrigation and monument engraving. 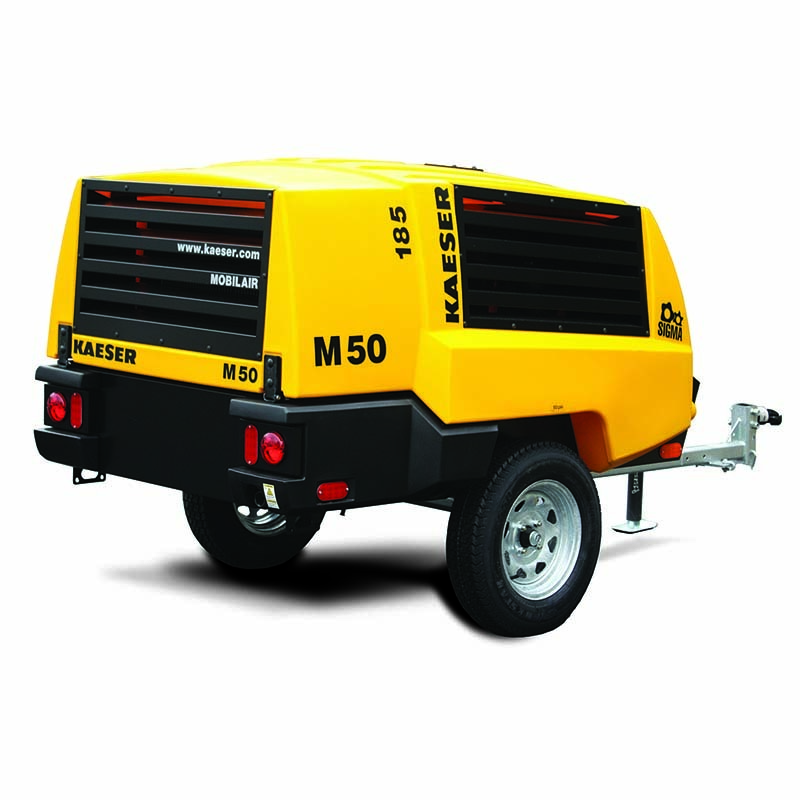 A wide range of tow behind air compressor models and accessories are available to suit virtually any need. The Sigma Profile airend provides more air with less fuel consumption. Plus, all units include a high-capacity, cold start battery for reliable starting and our heavy-duty, fuel-efficient diesel engines comply with all EPA emissions standards. Our diesel air compressors have a large capacity fuel tank which provides extended operation – over ten hours of run time – and has a large filler neck with overflow protection for safe, easy filling. Mobiliar portable air compressors are constructed from durable, industrial grade materials that resist rust and corrosion as well as provide exceptional noise attenuation – to 73dB(A). Towable compressors feature torsion bar suspension, oversized tires and height adjustable tow bar for superior road handling. 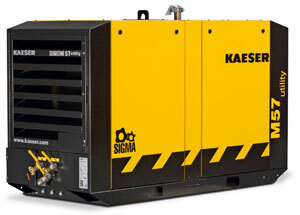 Select compressors are available with skid mounting. The award-winning M57 is available with stainless steel canopy and crash cage, and is perfect for harsh environments.